State officials say security is being enhanced at state psychiatric hospitals. But while escapes like that of two patients last week are said to be rare, missing patients aren’t so unusual at Western State, and a new report cites numerous lapses in safety. Washington state officials promised Saturday they were working quickly to increase security at the state’s psychiatric hospitals after a week in which two patients escaped and another two went missing. A man accused of torturing a 20-year-old woman to death in 2013 was recaptured Friday night in the Mount Spokane foothills after a two-day, cross-state manhunt that some worried would not end peacefully. Gregory gave much of the credit for Anthony Garver’s capture to a police dog. The dog found Garver hiding in woods near his family home near Spokane, then signaled for two officers. 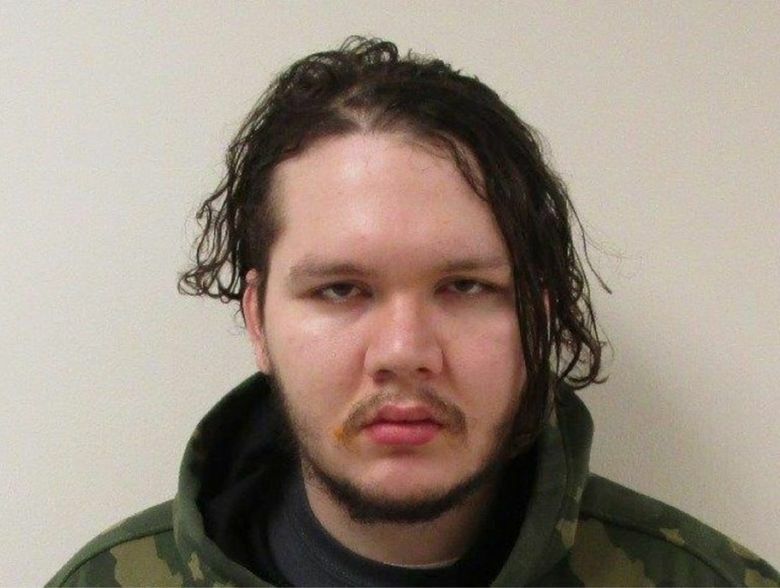 The Department of Corrections (DOC) has taken custody of Garver, who is now being held at Airway Heights Corrections Center in Eastern Washington, according to Kathy Spears of the Department of Social and Health Services (DSHS). Garver, 28, escaped from Western State Hospital in Lakewood, Pierce County, on Wednesday night. He crawled out a window of a locked, lower-security unit with another patient, Mark Alexander Adams, 58, who was caught the next day. On Saturday, DSHS officials said security was being enhanced at state psychiatric hospitals. They are focused on boosting security in Western State’s civil-commitment area, where Garver and Adams recently were transferred from the criminal section, according to a statement from the department. The men were moved because of a change in the state’s Involuntary Treatment Act, the agency said. Garver was under a civil commitment after he finished serving an incarceration period, said Jeremy Barclay, DOC spokesman. Garver had been involuntarily committed to Western State Hospital since 2014, when he was deemed incompetent to stand trial on a murder charge in connection with the death of Phillipa S. Evans-Lopez in Lake Stevens. Prosecutors said he tied her with electrical cords, stabbed her 24 times and slashed her throat. Two other patients took “unescorted leaves” from Western State during the manhunt, officials said. One was on an escorted outing on campus and has not been found. Another had been approved for discharge and was awaiting community placement, but did not return from a visit to a fast-food restaurant. Seattle police found him Saturday. Garver’s and Adams’ escape from inside the hospital was rare, but unauthorized leaves are not, said Carla Reyes, assistant secretary for the health agency’s Behavioral Health Administration. The hospital also has restricted patient movement on the grounds of Western State and outside the hospital for the weekend. Gov. Jay Inslee expressed concern Saturday about the way the hospital is being run. The escapes also intensified federal scrutiny on Western State, Washington’s largest psychiatric facility. Federal regulators already were investigating a recent violent attack on a worker and a patient-on-patient sexual assault. A workplace inspection released in the past week found a series of missteps posed safety risks, including unlocked rooms and unattended items that could be used as weapons. The history of violence at the facility stretches back years. Hundreds of employees have suffered concussions, fractures and cuts in assaults by patients, resulting in $6 million in workers’ compensation claims between 2013 and 2015. Patients also have attacked other patients, causing serious injuries. Federal regulators issued notices four times last year after inspectors found the hospital failed to ensure safety. It has until May 3 to address the violations or lose millions in funding. The hospital’s safety and emergency-management official sent a memo to staff Thursday citing numerous violations observed during a recent review. Some of the problems involved how the hospital is laid out, “but they also observed actions by staff that could pose a safety and/or security risk,” Pamela Rieta’s memo said. Her team saw a patient wearing a long necklace, telephones with long cords, an unattended chair and other items, left at the nurse’s station, that could be used as weapons, the memo said. Cabinets and lockers in activity rooms and kitchen areas were unlocked and unattended. Patients returning from ground privileges were not scanned for contraband. Kitchen doors were propped open without staffers present, allowing patients to enter, the memo said. Reyes, of the Behavioral Health Administration, said a safety review is being conducted and outside experts will be brought in to help. After Garver escaped from Western State, he bought a bus ticket to Spokane, where his parents live. Garver’s father called authorities to report his son had stopped by briefly. The last time Garver evaded authorities, in 2009, he had failed to report to prison work release in a weapons case. The search lasted a month before he was found in the woods near Mount Spokane. Material from The Seattle Times archives and previous Associated Press coverage was included.